Brand equity is a sales and marketing term that depicts the market credibility, and customer loyalty generated by a product or company with a prominent name. Brand identity is the collection of all company or product elements that portray the right image of the brand to the consumer. So, your brand is so much more than a logo and a name, and that’s especially true for your beloved customers. 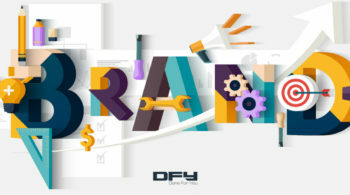 The terms “brand,” “branding,” and “brand identity” are sometimes used to talk about your brand – but these terms are not always interchangeable. Brand is the perception of the product or company in the eyes of their audience. Branding is about taking marketing action to shape a distinctive brand. Developing a dynamic and robust brand creates a solid foundation for your business. However, the success of that brand in the long-term depends on your brand equity. Your brand building strategy on the internet will be the mirror of your perception of doing business. It will determine how long you can survive the race of digitization and social media competition. A robust personal brand is vital for a business when trying to reach new target audiences. The brand should stand tall, right in the center of online communities. Trust and faith in a particular brand is built by the actions taken to approach your audience. The online visibility starts by building a good reputation; then, potential customers take the initiative to purchase one’s brand. They will work as brand ambassadors for your business by bestowing reviews on social media. You can build brand equity by showcasing your business traits, knowledge, capabilities and most importantly the way you express yourself online. You can still create visibility of your brand, without having a single word shared on social media and without running any campaign. For example, Uber didn’t run any marketing campaigns – instead they just thrashed the market by building a massive network of cabs. To beat the heat of competitors, establish a brand that tells a coherent and consistent story of your business. The fewer words you use the better. You don’t have to be self-praising. But you need to tell an interesting story. Branding depends on the perception of your audience and how the other brands describe you. How many people are affected by your presence? In this post, we are listing the top tips for building a strong brand that will last. Everything boils down to your first impression online – and that is your website. If a web development company is having an old style website and their services include building AI and big data applications, visitors are not likely to trust the company’s quality of work. However, if the website is gelled with modern elements and shows a stylish presence then brand identity is more in line with the company’s services. Now, the business claims seem to be so true that visitors might decide to assign a project to the company. Exaggeration of facts irritate visitors, and they start looking for alternatives. Every business has a unique quality. You need to research and explore that unique selling proposition (USP), before you go online. The degree of innovation is the essence of creating amazing business opportunities. You must be up to date with your knowledge of the industry at a global level. In the internet era, you are dealing with smart and savvy customers. Customers look for the social media comments and reviews before purchasing the product they desire. For example, Amazon has become a top retailer and a top performer in brand recognition by creating a sound tech infrastructure and using advanced e-commerce technology. They innovated in a lot of ways that contributed to an amazing shopper experience. However, when building your online brand, communicating with your target audiences should be your primary focus. The confidence in your products should be displayed through your creativity and advertising efforts. The customers should have a craze to see new products. The reoccurrence of visitors will establish your brand. Today, branding is not limited to one channel, i.e. 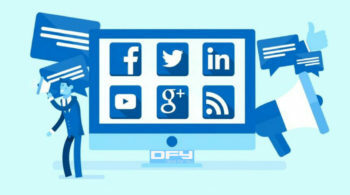 social media or your website. There are other channels which are equally effective and go alongside the websites such as mobile apps, email marketing and so on. Remember that a brand identity is established over time. You can’t afford to stick to one method. Definitely, you should try different strategies, and from time to time there should be a shift in your strategy to approach your audiences. “A biscuit is a biscuit” will not be accepted every time. It has to be like, “Biscuits cater to the need for nutrients“ or “ A biscuit is a complete meal at work”. Old stuff wrapped up in a new package are easier to sell than selling the exact same old stuff again and again. Then comes the role of social media which is equally important as new brands will keep entering the market. If the customer base is increasing too slowly then your business is in danger of failing. Hence, you need a safety net which is faithful customers who have a long-term association with your brand. It has been observed that early boomers prove to be loyal customers. They have a strong association with the brands. All we need is to boost their confidence and stay connected with them. The offers and discounts can be another way to keep them connected, but then all is fair when it comes to building a sales strategy. The interest in your brand should grow as your company becomes more mature. Another way to nurture a long-term relationship with your customers is to systematically add value to your product. Find creative uses of your product, or associate your product different customer needs. The market is competitive, and changes are taking place rapidly. To win over competitors a well-thought, innovative strategy is required. You need a unique brand voice that will have an impact on your potential customers. You need unique ideas – don’t be a copycat already established brands. So, you need to do in-depth market research. There are advanced crawling tools, chatbots, CRM tools which are readily available. You can use these tools to conduct research and get to know your competitors and your customers better. All these techniques won’t be effective unless you have a master plan to attract the customers’ attention to your products. Consistency in presenting your brand is much required. Just ensure that your marketing campaigns are original. Posting on social media less frequently is fine. You need to take steadfast initiatives rather than making your presence felt once and then disappear. In a survey, it was revealed that 61% of top brands are old brands who are already established. They require no campaigns to run for their existence. This clearly depicts that always becoming the part of hype is not good. Behave to take wise steps in establishing a brand which stays forever. The regular informative blogs, articles, press releases about the products will be a great opportunity to connect with your audiences. The sincerity and straightforward approach might impress the audiences. Indeed, 60% of US millennials expect consistent experiences, when dealing with brands online, in-store or by phone. Content can be a game changer. It’s all about building a positive attitude towards your brand. If your content is informative and it represents essential facts then it can be quite helpful. Engaging content helps to generate leads. Audio and short video presentations on your homepage are the latest trends in presenting your brand. Making effective use of short animations in between the content also acts as an added asset. Visitors always appreciate the self-explanatory content. 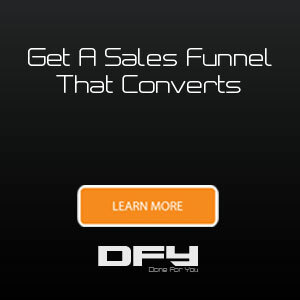 • Scriptly – Your sales funnel machine. 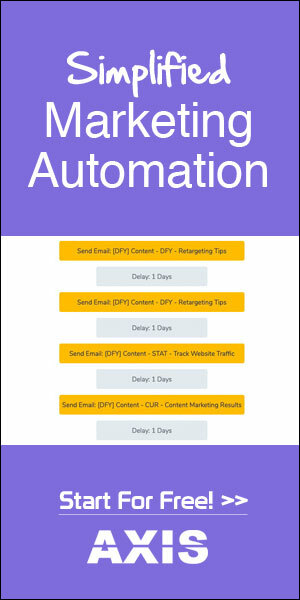 • Curately – Craft great content in minutes, not days. • Statly – Your analytics and tracking toolset. 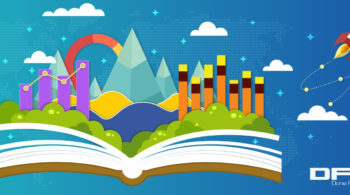 As mentioned before, a powerful way to build your brand and increase your brand equity is storytelling. Tell a story related to your brand and share it on social media and other marketing channels. Your goal should be to reach as many people as possible who are within your target audience. In other words, you need to maximize your brand reach. For example, you can watch several such stories on Pinterest and Twitter. Go to Pinterest and Instagram to find such viral stories that are related to your niche. No need to say that a story is more effective than a post merely praising your brand. Elaborate the story of your brand so that it immediately hits the mind of the customer. Once the customer is convinced, he will definitely stick to your brand. Once you have analyzed your market and evaluated your target audience by finding out how they perceive your brand, you need to develop a strong brand strategy. Ensure that the right messages are delivered on social media and across all channels. Building a successful brand takes time and effort. You need to be patient to reap the fruits of your efforts. The sincerity and dedicated work will surely bring measurable results in building a successfuls brand.